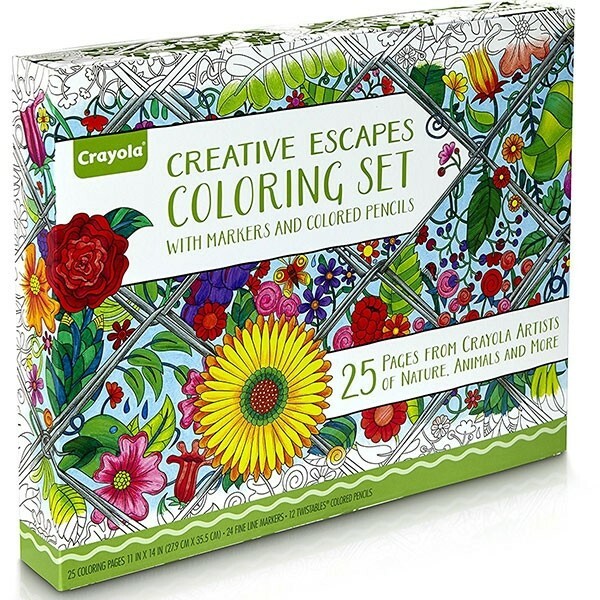 Discover the soothing nature of coloring as you bring out the beauty of finely detailed art with Crayola's Creative Escapes Coloring Book and Marker Art Activity Set. 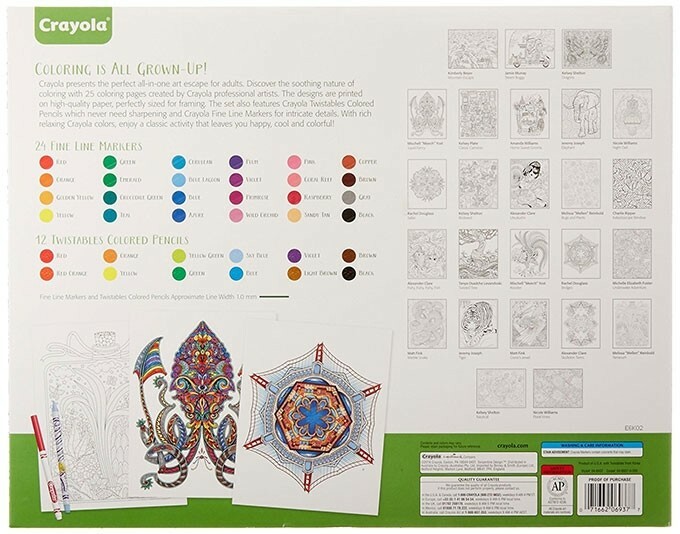 There are serene scenes of nature, patterns, mandalas and geometric designs -- 25 large 11"x14" sheets in all. 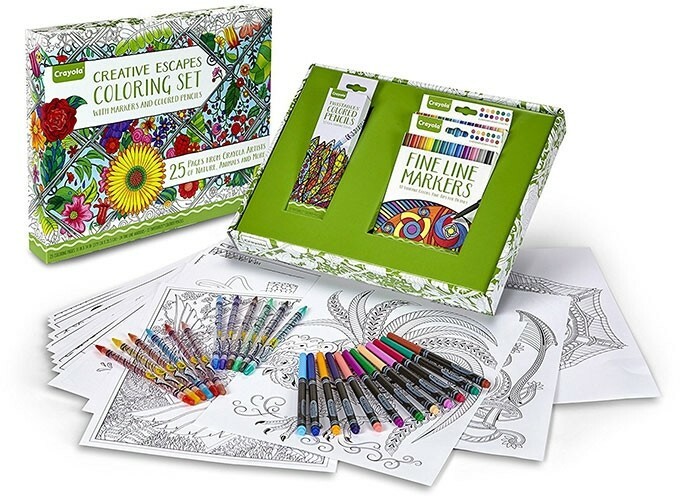 The set also includes 24 fine line markers in a durable box for coloring that keeps you calm, cool and colorful! 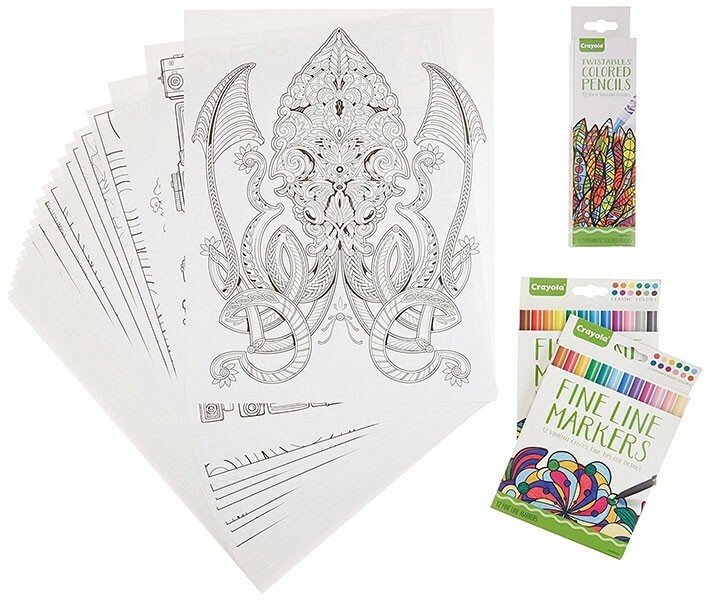 For more products for artists of all ages, visit our Drawing / Painting Collection.